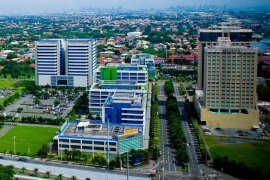 163 SQM Office Space for Sale in Filinvest City Alabang Muntinlupa near Asian Hospital. 2186 sqm Commercial Lot for Sale in Alabang Muntinlupa near Ayala Alabang. 39 SQM Office Space for Sale in Filinvest City Alabang Muntinlupa. Brand New Ready for Occupancy Office Space for Sale in Alabang Muntinlupa. Luxury Condo for Sale in Alabang Muntinlupa near Palms Point. Ready for Occupancy Office Space for Sale in Filinvest City Alabang Muntinlupa. 92 SQM Office Condo for Sale in Alabang Muntinlupa near Festival Mall. 60 SQM Office Space for Sale in Alabang Muntinlupa near Northgate Cyberzone. 67 Sqm Commercial Office Space for Sale in Alabang near Festival Mall. 67 SQM Commercial Office Space for Sale in Alabang near Northgate BPOs. 67 sqm BRAND NEW OFFICE SPACE for Sale in Alabang, Muntunlupa across Festival Mall. 60 SQM Commercial Office Space for Sale in Alabang Muntinlupa near Northgate Cyberzone. 379 SQM READY for OCCUPANCY OFFICE SPACE for SALE in ALABANG MUNTINLUPA. 128 SQM Office Condo for Sale in Filinvest City Alabang near Festival Mall. 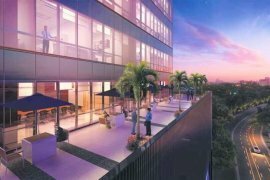 BRAND NEW OFFICE SPACE for Sale in Alabang, Muntunlupa. 71 SQM Office Space for Sale in Alabang Muntinlupa near Festival Mall and Northgate. 36 SQM Office Space for Sale in Alabang Muntinlupa near Alabang Town Center.